Miami heat hits Basel ! 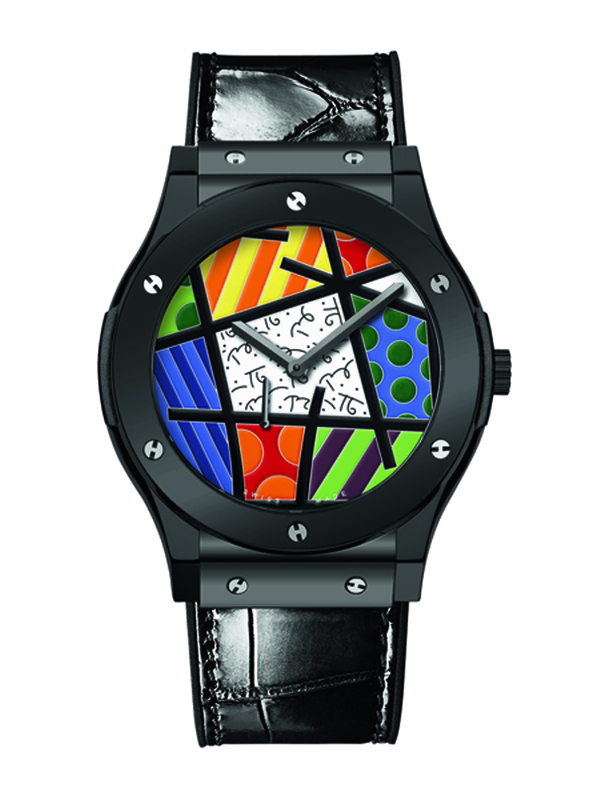 Swiss watches manufacturer Hublot collaborated with Romero Britto on their Classic Fusion model to produce a limited serie Enamel available in platinum or ceramic with a black alligator strap stitched onto rubber. The ceramic version is a 50 pieces limited edition and the platinum version is limited to 30 pieces. Brazilian artist, painter and sculptor Romero Britto has often collaborated with brands to place its Pop art, Cubism influenced artwork on products. His signature style made of colourful patterns has firstly been seen on Absolute Vodka’s bottle and will be found this year on Hublot’s latest release.